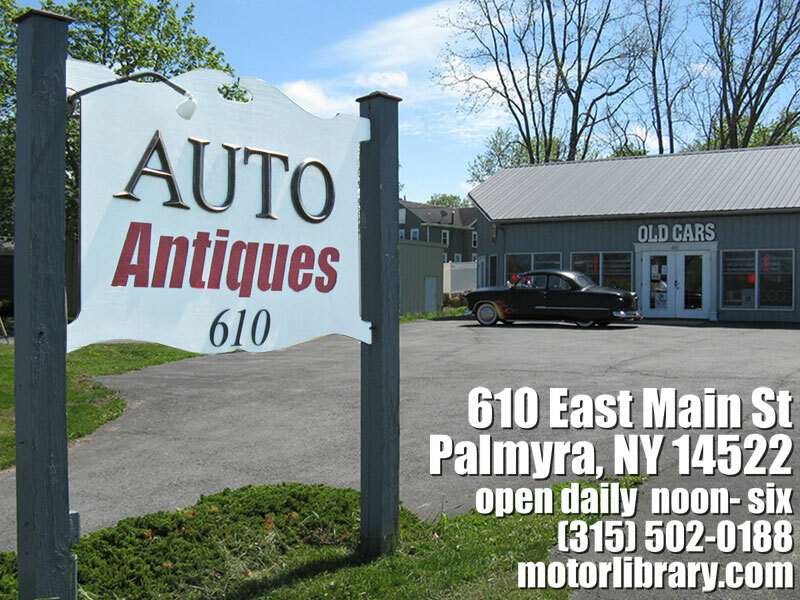 Auto Antiques, the northeast's sole source of old car books, ads, brochures, signs, scale models & magazines, is located in Palmyra, NY on State Route 31 between Syracuse and Rochester. Palmyra is situated 25 miles southeast of Rochester, 8 miles north of NYS Thruway exit #43 and 70 miles west of Syracuse. Several years ago our previous store was featured on Mohawk Valley Living, a program broadcast on WKTV in Utica, NY. If the video doesn't appear below, try viewing it on YouTube. If you're traveling from out of town, please call or write several days in advance to make sure we'll be there when you arrive. 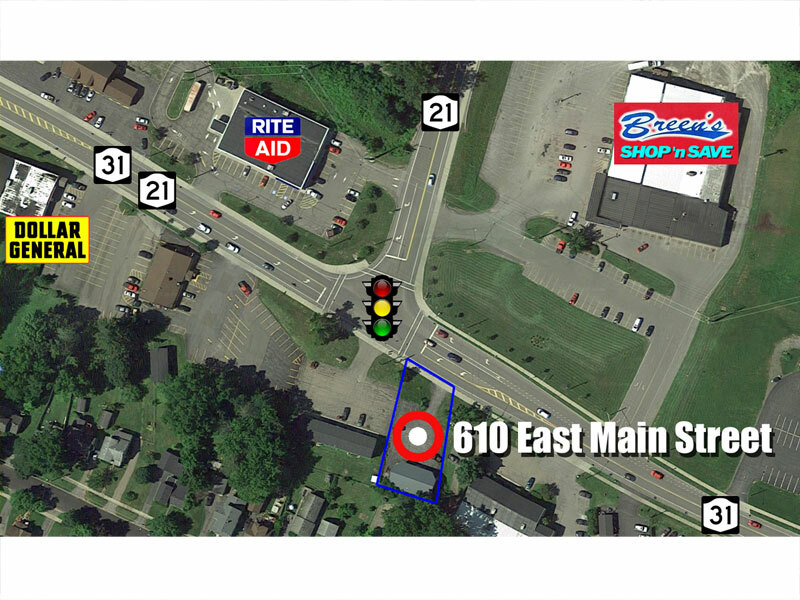 If you've visiting Central or Western New York anytime soon please stop by AUTO ANTIQUES, our retail store located at 610 East Main Street (Route 31 at Route 21), Palmyra, NY 14522. Click here for pictures of our inventory. We have a large selection (5,000+) of rare & out of print automotive books as well as a substantial (50,000+) collection of automotive-related magazines, sales brochures and advertisements. We also carry several hundred original and reproduction signs, 5,000 Hot Wheels & Matchbox cars plus the Northeast US's largest (3,000+) selection of collectible 1:43, 1:24 & 1:18 scale die-cast trucks and automobiles. Several years ago the store was featured on Mohawk Valley Living, a program broadcast on WKTV in Utica, NY. The video is available for viewing on YouTube (fast forward to 15 minutes). automotive books, hot wheels, signs, matchbox, car books, automobile books, auto books, dvds, movies, books, new books, used books, collector car books, auto, manuals, repair manuals, automotive, how-to, automobile, car, cars, truck, trucks, suv, suvs, sportscars, muscle cars, auto racing, car racing, car magazines, automotive magazines, motorsports, publications, car manufacturers, automotive manufacturers, enthusiasts, electric vehicle, alternate fuel, lowriders, new car sales, used car sales, car dealers, car deals, automotive information, vintage cars, antique cars, collector cars, car buffs, tuners, military vehicles, oldtimers, Auto Posters, Automobile Posters, Automotive Prints - Ferrari Posters, NASCAR Posters, Grand Prix Posters, Formula 1 Posters, Vintage Posters, Monaco, Classic Car Posters, Sportscar Posters, Racing Car Posters.